Windows 10 News and info | Forum > Mobile Devices and Apps | Mobile O.S's > Smartphones | Wearables | Concepts | etc. 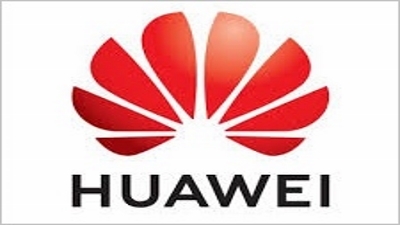 (Moderator: javajolt) > Huawei Overtakes Apple as Created in China Overtakes Made in China. Most of the world’s industrial products contain parts that are made in China, while many others are fully assembled in China Now though, as part of a countrywide drive to re-focus the Chinese economy on innovation, creation and technological research and development, Chinese brands are becoming increasingly abundant even in markets where they were previously rare. Recent figures for the most widely sold smartphones across the world have seen China’s Huawei overtaken the US brand Apple as the second most popular smartphone make in the world while South Korea’s Samsung retained the number one spot. While building, promoting and gaining trust in a major brand takes time and effort, Huawei’s inroads into previously untapped markets is symptomatic of the rapid acceleration of ‘Brand China’ across the globe in a manner that parallels the rapid ascension of Japanese brands worldwide in the 1970s and 1980s when previously unfamiliar companies like Sony, Mitsubishi and Toyota became household names. China looks to accelerate its own rapid deployment of brand familiarity outside of the domestic market as part of Chinese President Xi Jinping’s drive for the ‘Created in China’ phenomenon to eclipse the long familiar ‘Made in China’ country of origin label. While hardly discussed in western media, over the last ten years China has been making strides in the production of high quality electronic and automotive goods. Many Chinese brands in the coveted audio and video sector can already be found throughout the world, including in the United States, although for the time being, they lack the promotional presence of rival Japanese, US and EU brands. While many of the components of the world’s leading computer, table and smartphone brands are manufactured in China, in short order, existing technologies will be competing on a global level with Chinese brands featuring unique hardware, software and design features. Likewise, while Chinese cars and trucks, including luxury vehicles are already being sold in ever greater numbers domestically and throughout Asia, just as Japan was comparatively late to the luxury car market that had traditionally been dominated by Germany, the US, UK and France, China too will soon be offering vehicles for sale to rival major brand names including BMW, Jaguar, Cadillac, Audi and even Mercedes-Benz. This reality means that those who seek to deride China’s economic progress will have to find a new narrative, while justifying the fact that while innovation in neo-liberal economies tends to mean a loss of jobs, income and wealth among working and middle class citizens, in China the opposite is true. This is because the managed nature of market socialism allows for wealth generated in terms of aggregate national efforts which can be re-invested in the Chinese people. This is a further reason why increased automation will not negatively impact China in the way it already affects traditional neo-liberal economies. At the same time, China is feeling the increased confidence and general self-sufficiency to open up internal markets to foreign investment. China continues to open its economy in line with the goal of a global trading/commerce network – One Belt – One Road designed to take advantage of the strengths of each participating national economy, while allowing the easy flow of both raw materials and finished goods into economies that cannot produce such things domestically. This phenomenon fits in with the “win-win” goals of Xi Jinping who seeks to allow countries to retain their sovereign characteristics and decision making, while allowing innovation and commerce to create collective benefits for citizens of an increasingly interconnected world. China is no longer the low-wage/high-volume monolith of yesteryear. It is rapidly becoming and in many areas has already become the high quality, innovation heavy production powerhouse that will soon be leading the world through the next digital revolution. While China opens its economy, Chinese entrepreneurs and major domestic Chinese brands also look to make their presence known throughout the Asian, African, European and American markets. In so doing, just as Chinese consumers will now have increased access to foreign goods owing to China’s policy of trade openness with major partners, China’s partners will also be able to diversify their own marketplaces as Chinese designs and major brands look to become a major fixture throughout the world.